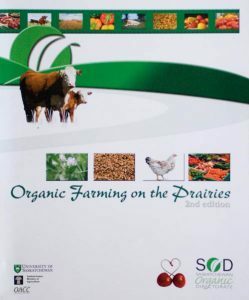 Includes a history of organics on the Canadian prairies and the philosophy of organics. Provides information on organic principles including soil, weeds, diseases and pests, field crop production, fruit production, vegetable production, livestock production, and marketing. 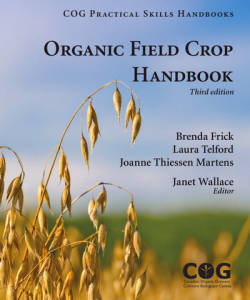 The Organic Field Crop Handbook – 3rd Edition (448 pages), provides a road map to field crop producers who aspire to improve the environmental sustainability and profitability of their farming operations. It is intended for organic farmers as well as for producers who want to reduce their reliance on external inputs while improving knowledge of non-chemical weed management and natural methods to enhance soil fertility. 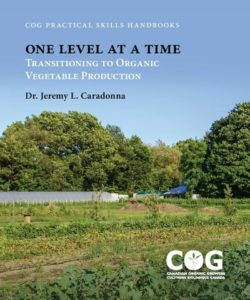 A practical handbook for organic, transitional, and conventional grower on record keeping for organic certification. 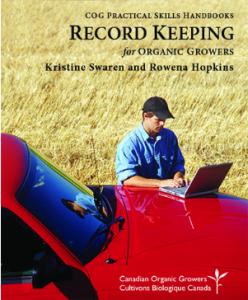 Includes information on the how and why of record keeping, farm records, applying for certification, using your records to verify organic integrity and getting better at record keeping. Templates included. A guide for vegetable producers farming one acre or hundreds of acres, One Level at a Time combines the latest science-based research with real-world stories from farmers to illuminate the challenges and benefits of organic transition. 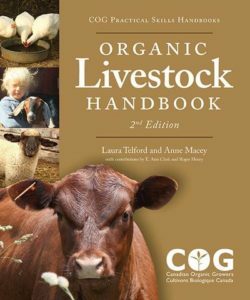 Full of practical information about organic standards, ecological and agricultural principles (agro-ecology) and marketing to set you on your path to successful organic production. 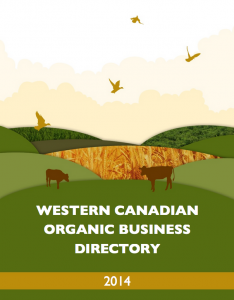 This directory is being distributed to all organic producers and businesses by the provincial associations and their governments.